Bath time is a lovely part of your little ones day and a chance to play whilst getting clean. What more could we ask for as a parent? We would highly recommend the following bath toys. They have each been carefully chosen as they are bold in colour, can be used in more than one environment (water tables or as actual outdoor toys) encourage imaginative play and stimulate a child’s mind whilst providing hours of play. Meadow Kids make a wide range of Bath Stickers. These are some of our favorites. There are a series of different hot air balloons and each one has a number on the base. 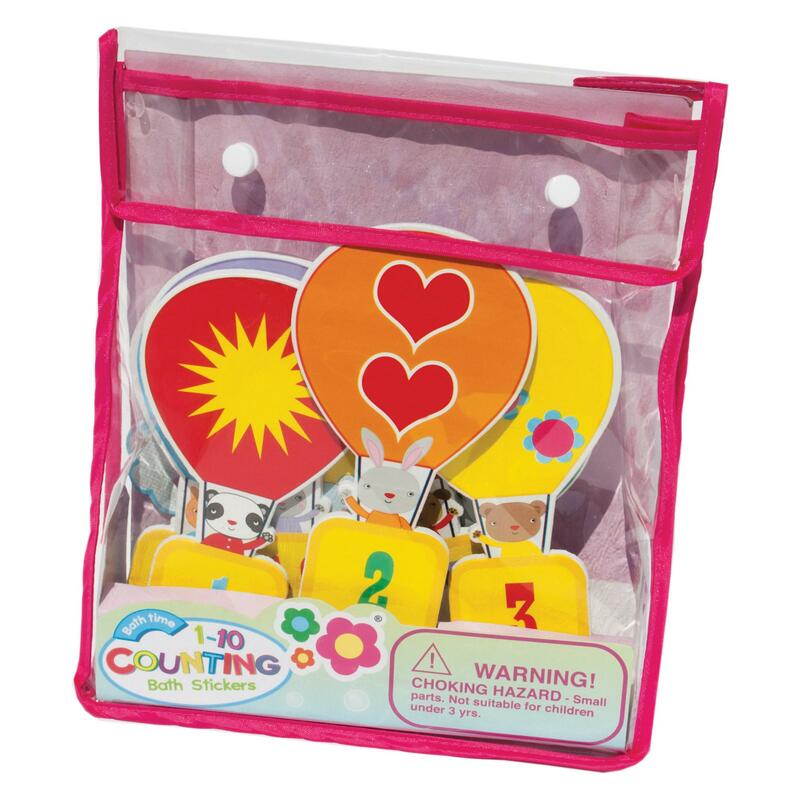 It is a great way to introduce numbers by encouraging your little one to put them in order. The best part is, they stick to the side of the bath, dry easily and can be stored in the bag provided. 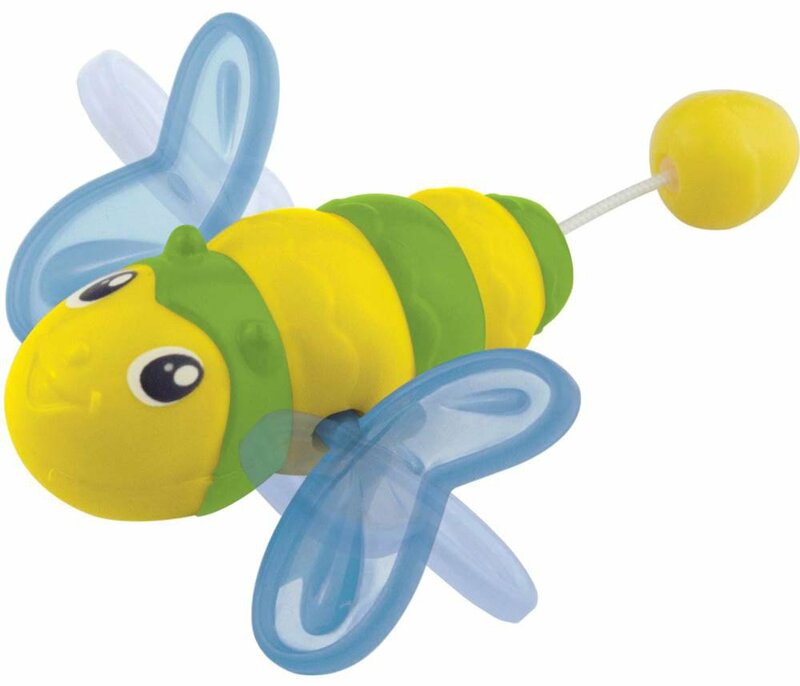 This little Bath Bug from Munchkin will fly through the water. All you have to do is pull his tale and watch him go. This little fly sparked lots of excited giggles during bath time. The Happland submarine comes with 3 figures and a light up fish. It is great for play in and out of the bath. Little ones can enjoy pushing it through the bath the water and hiding the figures inside. It is bold in colour and incredibly durable. Plus, it looks great at the side of any bath! 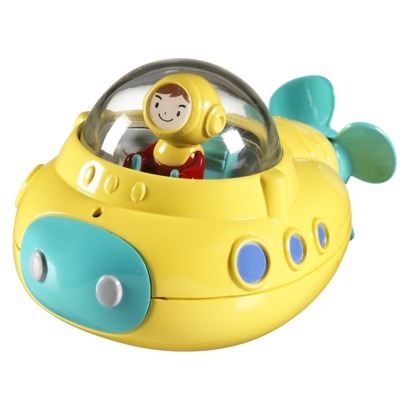 This underwater submarine is a great little toy for the bath. It is easy for a little one to hold in their hand and push through the water. Push to create air bubbles, the cabin spins when the submarine rotates. It’s cute, cleverly made and affordable. 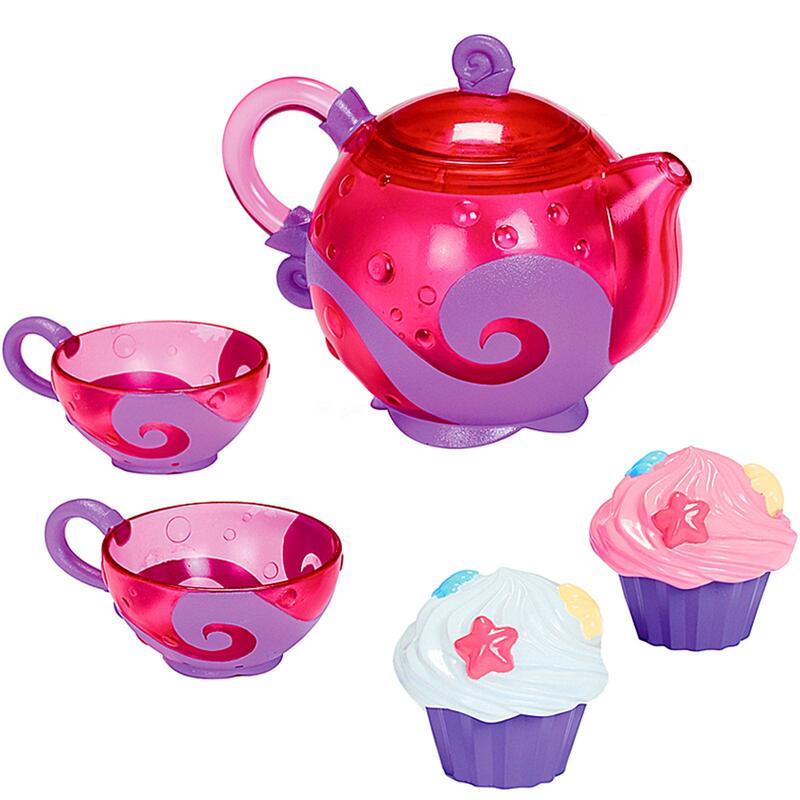 Ideal for a tea party in or out of the bath, this brightly coloured set comes with a teapot, 2 cups and 2 pretend cakes. It is fun to fill the tea pot up and then watch the water pour out of the spout at the front. Great for imaginative play.